As many of you know, ethnic and corporate mainstream media have responded to the indictment of NYPD Officer Peter Liang for the death of Akai Gurley by framing the indictment as dividing the Chinese community, and focused on calls to drop the indictment of Officer Liang. Furthermore, they are using issue to pit Asian and Black communities against one another. 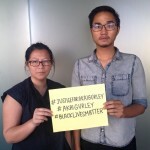 CAAAV Organizing Asian Communities has been working closely with the family of Akai Gurley, community organizers in East New York, Brooklyn (where Gurley was visiting a friend) and other groups since the shooting happened late last year to show our solidarity and support. 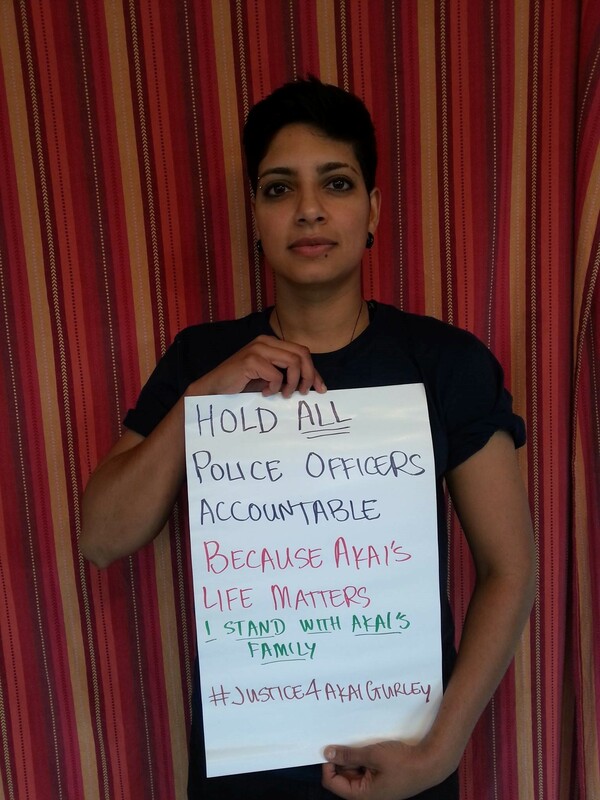 CAAAV and the family of Akai Gurley call for the accountability of ALL police officers who kill unarmed civilians. 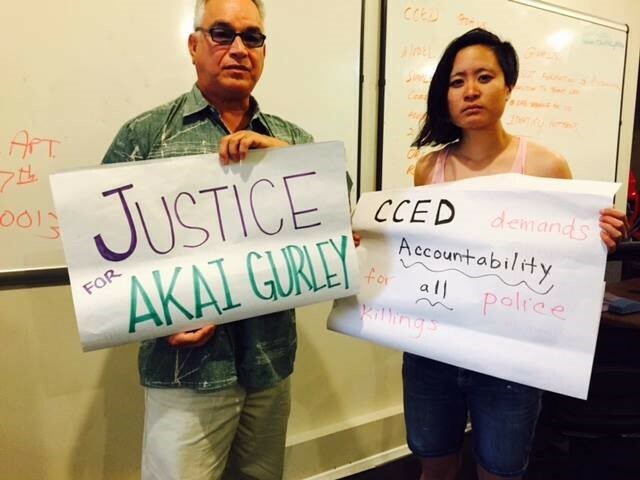 We know that we have support from Asian Diasporic communities, and in the last couple of weeks we have heard from our communities located in cities including the Bay Area, Boston, Chicago, Oregon and New York, showing solidarity with Akai Gurley’s family. 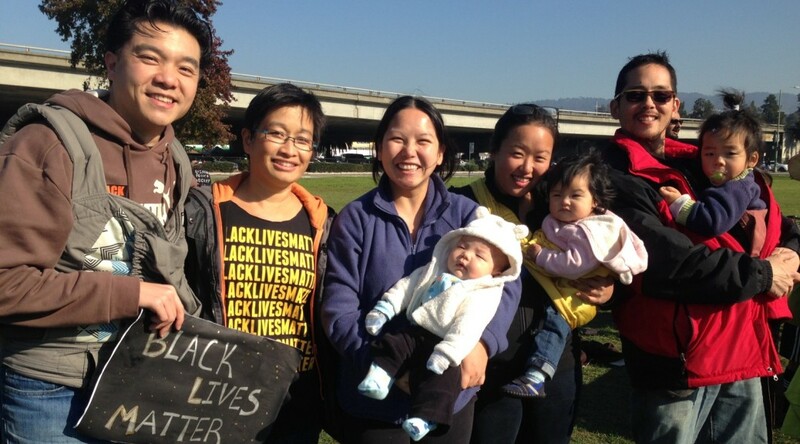 RIGHT NOW, it is critical for Asian American communities, especially Chinese, South & Southehast Asians, to move our communities in support of Black-led organizing against police brutality. We believe a strong turnout will send a powerful message. 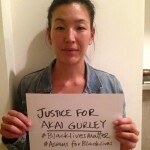 Given this context, we are really hoping you will participate in the Justice for Akai Gurley Selfie Action to show your solidarity and that you stand with Akai Gurley’s family. 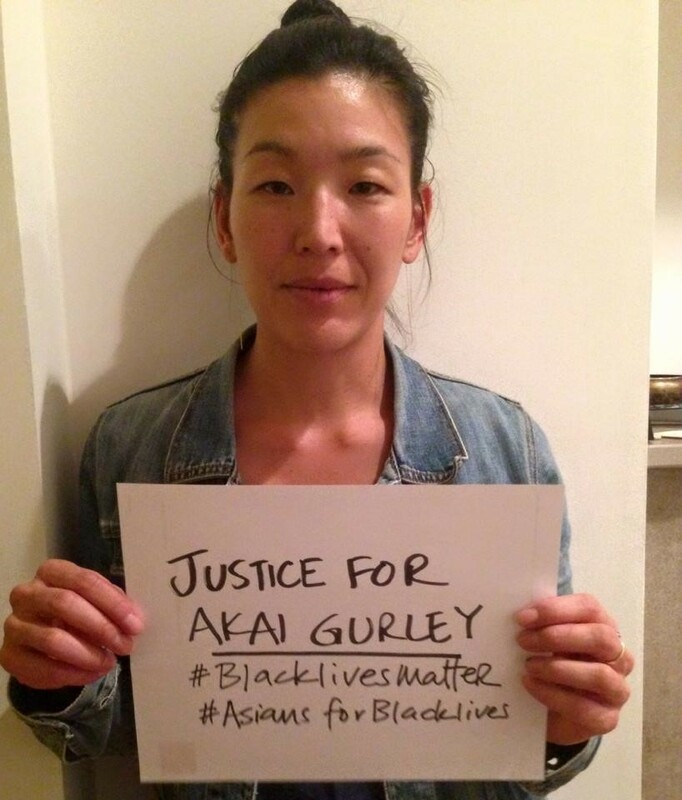 THREE easy steps to contribute to the #JusticeforAkaiGurley Selfie Action! We are accepting submissions on a rolling basis, but hoping to get massive numbers posted prior to April 24th! 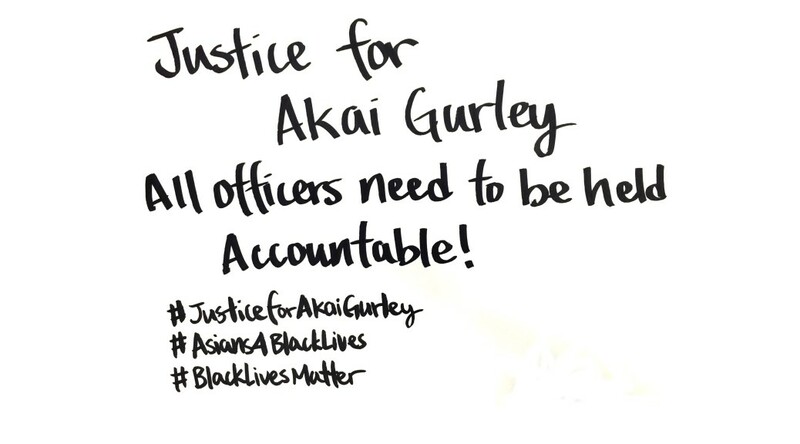 1) TAKE A PHOTO OF YOURSELF HOLDING YOUR SIGN using #JusticeforAkaiGurley #holdALLcopsaccountable #BlackLivesMatter and your location (Seattle, Chicago, Bay, NYC, etc.) 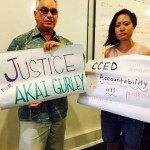 so we can show the Akai Gurley’s family that they have support from many places outside of CAAAV. 3) SHARE this action out on social media – Facebook, Twitter, Instagram and SEND the photo and paragraph to caaavjustice@riseup.net. Also! 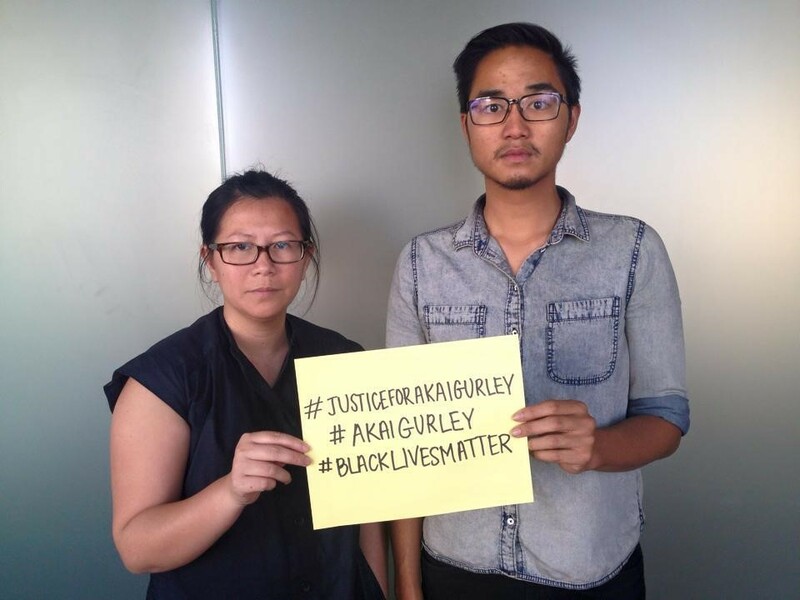 If you are having a meeting, event or action, please consider asking folks to take a selfie for #JusticeforAkaiGurley. 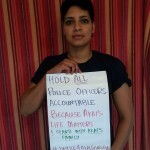 APIs4BlackLives have posted their selfies here. Do I have to show my whole face in the photo? No – whatever you are comfortable with. Wear a hat, glasses, cover part of your face, whatever you’d like. Should my ‘because…’ text be separate from the sign I hold up in my photo? Yes. The sign you hold up in the photo should simply read “#JusticeforAkaiGurley”, “#holdALLcopsaccountable”, “BlackLivesMatter” and “Boston” or city/town you’re repping. Then, whatever truth you share, you should send as text in the body of the email. What if I have multiple identities that I would like to acknowledge? Will you accept photos/truth after the deadline? Yes, this will be an ongoing project. That being said, if you can possibly send me something by the deadline, that would help us out tons. We’re trying to get this up and running before April 26th.